This afternoon, I was at my PPD to pursue an urgent letter they have not sent to my school. I needed this letter urgently to attend a meeting in Melaka next week &, with all the arrangements I have to make, I did not appreciate the delay. One of the officers walked by & said, "Cikgu Yong, jangan pindah lagi ya?" I looked at him for a moment to see if he was joking. He didn't look like he was joking. He could very well have been the officer assigned to handle transfers. I figured that if he had already made up his mind, there would be no point for me to reason with him. I was, after all, a mere statistic to him. I said hi, shook his hand politely but didn't say anything. He asked the question again. This time it seemed more like a statement. I took my letter, said my good byes & left. Yes, I applied for transfer. This is my second application. I did the first one last year. I only applied at the end of the year because I wanted to do finish off the year properly before moving on. Somehow I feel that good people will always be the victim of their own goodness. Those useless or 'bad' teachers get transferred quicker. Should I become one of those in order to get a transfer? It is definitely much easier than what I'm doing now. As I left the PPD, I couldn't help but feel a deep sorrow in a hidden part of my heart. I have pushed my feelings deep deep inside. Now that the bruise was rubbed, the sorrow lingers. It's a familiar feeling I get when I realise that I have to spend yet another year here. Right then, I knew. In my heart, I really wanted to transfer. You think that I'm cruising & triumphant. But this is what I actually do every day. People might think that I'm a happy positive camper but only those with true discernment will know... I'm loving what I do instead of doing what I love. I'm making lemonade because life has given me lemons. I'm promoting what I love, instead of bashing what I hate. I'm making the best of what little I have &, praise the Lord, I've managed to turn many tragedies into triumphs & achieve much more than those who came before me & perhaps even more than some of those who are better equipped. The main reason I want to go is because I feel that this is no longer a conducive place for a teacher like me. I didn't always feel like this. I remember my first 2 years with great fondness. I worked even harder during those years but the work seemed light & everybody was working together. Then, came the 2 darkest years of my career. I slaved & slaved. Yet, I got undermined, abandoned, slandered & attacked as I pushed forward, with all my might, my personal ideals. After that, I realised that I was resisting what this school has become. It has changed. I was trying to change it back to what it was & the utopian paradise it could have been. The worst thing is... as time goes by, I am changing with it... and not for the better. I am like a piece of coal. I am passionate & I generate a lot of heat. I can warm a lot of other coal pieces. However, the coal pieces which surround me will eventually influence my flame. Maybe even put it out. I also feel like I am not welcome here. The local teachers whom I used to share 'happy' beverages & BBQs with, now, treat me with disdain. I don't know why. Maybe it's my race. Maybe it's because I chose to spend less time partying with them in order to spend more time working with the students. I never asked. However, I've always been friendly & I've always greeted everyone. Many of them just stopped reciprocating. Some can't even give me eye contact. Still, I treat everyone here as friendly as the first day I came to school. I do it with all my might. I never back down from a righteous fight. I am nothing but a common knight. I have always believed in God's will. Some call it destiny. I know that I am here for a reason. I'm not sure what that reason is but it does not necessarily have to be something that I desire or understand. At a moment of spiritual high, many Christians pray, "use me, oh Lord, to do your will." Yet they forget that this world has become so corrupted that God's will becomes so hard that even Jesus, in a moment of weakness, said, "Father, if you are willing, take this cup from me." Before soldiering up & saying, "yet not my will, but yours be done." After 5 years of blood & sweat, I think I more than deserve a transfer. I am very ambitious. I desire to be at a school where I can perform at my best. Where I can learn from the best & hone my skills. I dream of being one of the top teachers in Sarawak. I want to support budding teachers & nudge them towards being better than me. Yet doing God's work is not easy & humility is a bitter pill to swallow. The wonderful first 2 years of my service was God's bait to keep me hooked on teaching. I still hang on to the memories as proof that nothing is more meaningful than teaching. At the moment, I am in the 3rd year of a refining process. If I am kept here for another year, there must be something special in store for me. Something that only I can do. God is full of surprises. This year has been full of surprises. I never asked for the recognition that I received all these years. All that I ask is to be set free to make a real difference instead the usual bureaucratic pretence in black & white. My heart really wants a transfer. 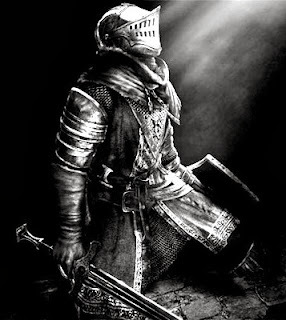 But if I'm going to be here for another year, do pray that this bleeding knight in dented armour shall have the courage to do what is right.